The Barrie Examiner, Orleans News, the Collingwood Enterprise Bulletin, Metro Winnipeg, Our London and the Orillia Packet & Times are among the local newspapers shutting down after the deal between Torstar and Postmedia. The local news market is being reshaped, with Canada's two largest newspaper companies striking a deal to swap a total of 37 community newspapers and four free commuter papers – and then shutting most of those newly acquired publications in regions where they compete with existing papers. The transaction announced on Monday between Postmedia Network Canada Corp. and Torstar Corp. represents an effort to cope with years of declining advertising revenues in a struggling print-media environment and comes on the heels of Ottawa rejecting subsidies for the industry. The closings, which will leave dozens of communities with a single newspaper, will erase 291 full-time and part-time jobs, mostly in Ontario. The two companies have been discussing a potential deal for a couple of years, but those discussions have taken on more urgency since late September when Heritage Minister Mélanie Joly presented her policy strategy for Canada's cultural industries and said the government does not plan to "bail out" struggling media companies. Ms. Joly indicated that the $75-million annual Canadian Periodical Fund, which is open to magazines and community newspapers, should be modernized but did not dedicate any new funding to the program, causing the companies to renew discussions on a deal. "With the corrosion of print advertising, it became necessary to look around. It really picked up steam when the feds closed the door on any assistance for the industry," Postmedia executive chairman and chief executive officer Paul Godfrey said. During Ms. Joly's lengthy review of the cultural sector that helped to shape policy vision, both the Public Policy Forum and the Standing Committee on Canadian Heritage recommended funding to help support Canadian journalism. "Of course I'm sad to hear about these local closures and my thoughts are with the families affected," Ms. Joly told reporters in Ottawa. "We value the importance of journalism and that's why we invest up to $75-million per year in local media." Consolidation in Canadian newspapers has been going on for some time, affecting both major market dailies and community papers. 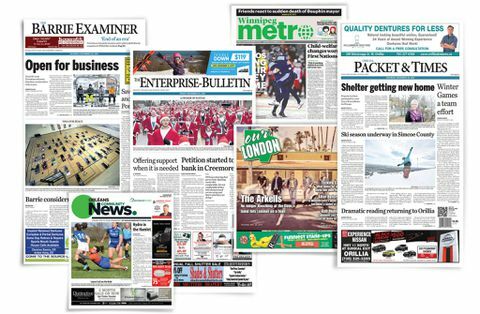 Earlier this year, SaltWire Network Inc., which owns the Halifax Chronicle Herald, purchased all of the newspapers and news websites belonging to Transcontinental Inc. in Nova Scotia, Prince Edward Island, Newfoundland and New Brunswick. In 2014, Black Press and Glacier Media Inc. agreed to swap more than a dozen community newspapers in British Columbia, allowing each to consolidate ownership of papers in geographic "clusters" they considered a priority. In 2015, Postmedia closed a deal to buy 175 newspapers and digital publications from Quebecor Inc. At the time, Postmedia said that the Sun papers in Calgary, Edmonton and Ottawa would continue to compete with Postmedia's existing papers in each market – the Calgary Herald, Edmonton Journal and Ottawa Citizen – and that the newsrooms would remain separate. About nine months later, it merged those newsrooms, as well as its Vancouver Sun and Vancouver Province newsrooms, and cut roughly 90 jobs. "The economics of the marketplace are headed in one direction, downward, and so as revenues fall we can expect more closures and consolidations and, consequently, fewer reporters covering both the local institutions of democracy and the kinds of news that bind communities," said Public Policy Forum president Edward Greenspon, a former editor-in-chief of The Globe and Mail. Companies across the media industry have been struggling with declining print-advertising revenue. But the problem is not simply that people spend more and more time online and digital ads command a tiny fraction of what those companies used to make on print advertising. The bigger challenge is that even large media companies are dwarfed by both the scale of digital giants such as Google and Facebook – and also by the amount of data those giants have on their users. The massive aggregation of people's personal information is a gold mine for those digital behemoths, because advertisers demand greater levels of detail to help them better target their ads. "There is a crisis in the industry," said John Hinds, CEO of News Media Canada. "Announcements like today are a real warning bell. We can't underestimate the importance of credible professionals who know how to ask tough questions, who have access to the players. … It can't be replaced by a Facebook group." "The public has no idea how much it costs to produce news," said Christopher Waddell, a journalism professor at Carleton University. "… The public doesn't recognize that [news] has the value, enough to pay for it. I don't know that government subsidies fix that." By closing papers, Postmedia and Torstar will each operate with less competition in the Ontario markets they consider a priority: for Torstar, that is the Kawarthas and the Niagara regions, and for Postmedia, that includes Ottawa, London and the region encompassing Kingston and Belleville. Both companies are hoping that by consolidating papers, they will be able to command more print-advertising revenue in those markets and to cut costs. The consolidation doesn't only affect community papers, it also reshapes the market for free commuter papers, including in Vancouver, where the Metro will no longer compete with 24 Hours. "Closing papers doesn't make anyone happy. Loss of jobs, loss of brands – but all these products are losing money," Mr. Godfrey said in an interview on Monday. "We have no choice but to concentrate our focus. … We feel that this is a necessity. We're talking about the survival of these [remaining] papers, and the survival of the industry." Executives at Torstar declined requests for an interview. Torstar president and CEO John Boynton said in a statement that the swap will give the company "geographic synergies" in markets it sees as a priority. "By acquiring publications within, or adjacent to our primary areas and selling publications outside our primary areas we will be able to put a greater focus on regions where we believe we can be more effective in serving both customers and clients," Mr. Boynton said in a statement. A statement from Metroland Media, a division of Torstar, said that closing the papers is "the only realistic option" in light of falling advertising revenue. Torstar said on Monday that the exchange will improve annualized operating earnings by $5-million to $7-million. Postmedia said it was too early to estimate its cost savings. Community newspapers historically were less reliant on national advertising revenue, which was most quickly affected by the transition to digital – but local ad revenues have begun to slide as well, affecting local outlets. Many of the same trends that affect large dailies also affect smaller community outlets, especially because chain publishers own two-thirds of community papers, according to the Public Policy Forum. In many cases, those community papers that do remain are functioning with extremely small staff. "It's going to have a devastating effect on these communities, no question," said Paul Morse, president of Unifor 87-M, which represents 11 employees who are losing their jobs as part of the deal. "The newspaper industry is in many ways a broken business model," he said. The closings will provide a renewed urgency for the union's lobbying to the federal government to ask for more help for the industry, he added. "The model has to change, and we really need the government to pay attention." The companies did not have to notify the Competition Bureau of Monday's transaction ahead of time, because it did not meet the transaction-size notification threshold. 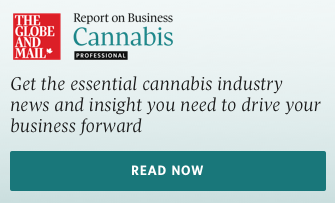 To be exempt from that requirement, the target of a merger cannot have assets or revenues from sales in Canada exceeding $88-million. However, in an e-mail on Monday afternoon, the Competition Bureau confirmed it would undertake a review of the transaction. "While I cannot speak to the specifics of a Bureau review for reasons of confidentiality, under the Competition Act transactions of all sizes and in all sectors of the economy are subject to review by the Commissioner of Competition to determine whether they will likely result in a substantial lessening or prevention of competition in any market in Canada," spokesperson Jayme Albert wrote. Under the Competition Act, the Bureau has one year after a transaction to bring an application to the Competition Tribunal to challenge it.